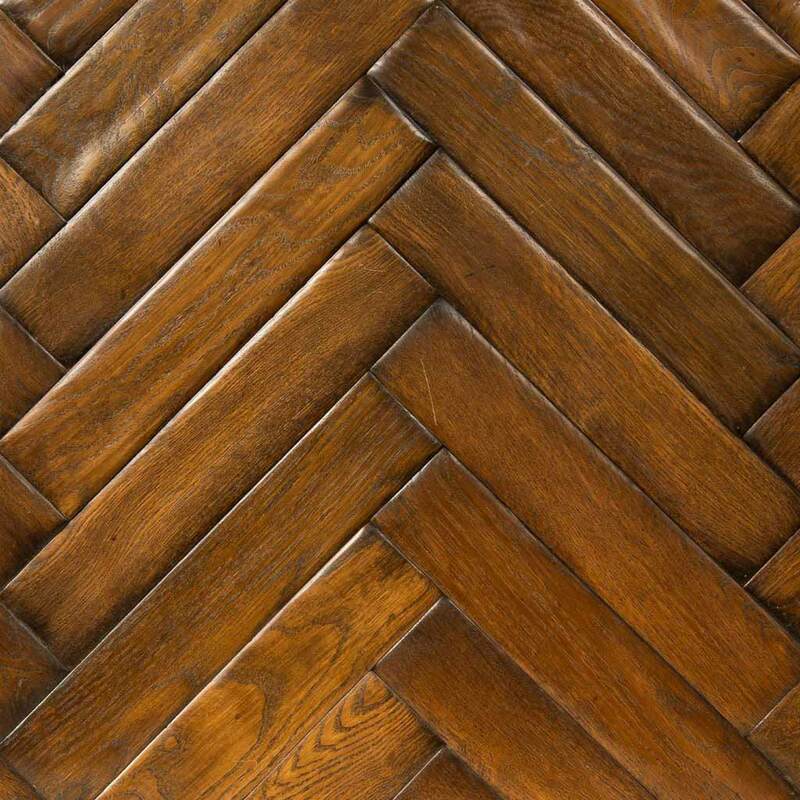 Herringbone is a pattern that can be applied to anything from wooden flooring to fabrics. It is simply a type of design. However within this family can be a whole range of offshoots and designs. 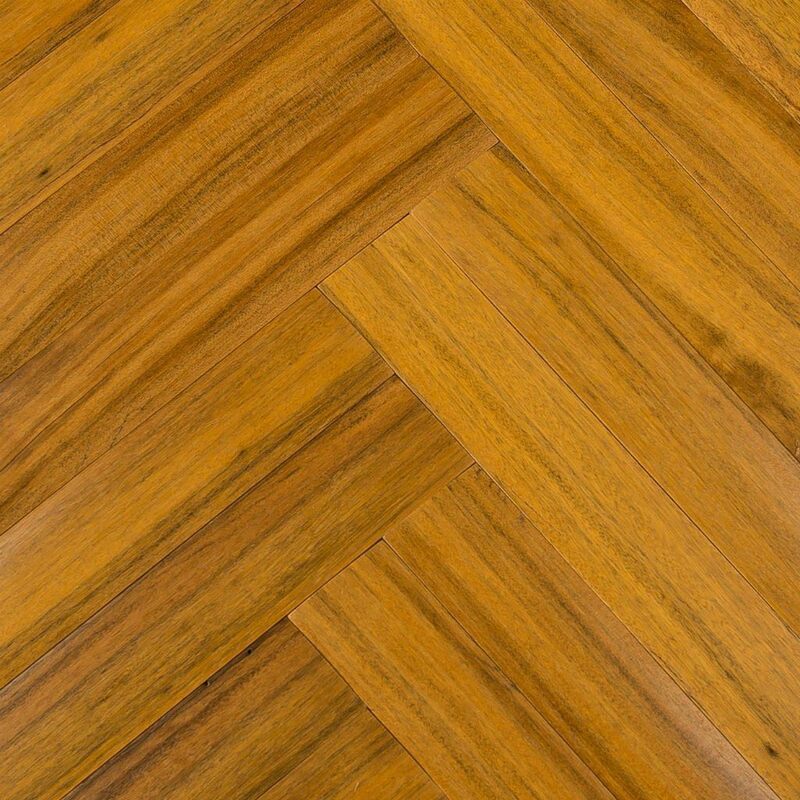 We can offer any herringbone design in any size and any thickness using any type of wood species, solid or engineered. 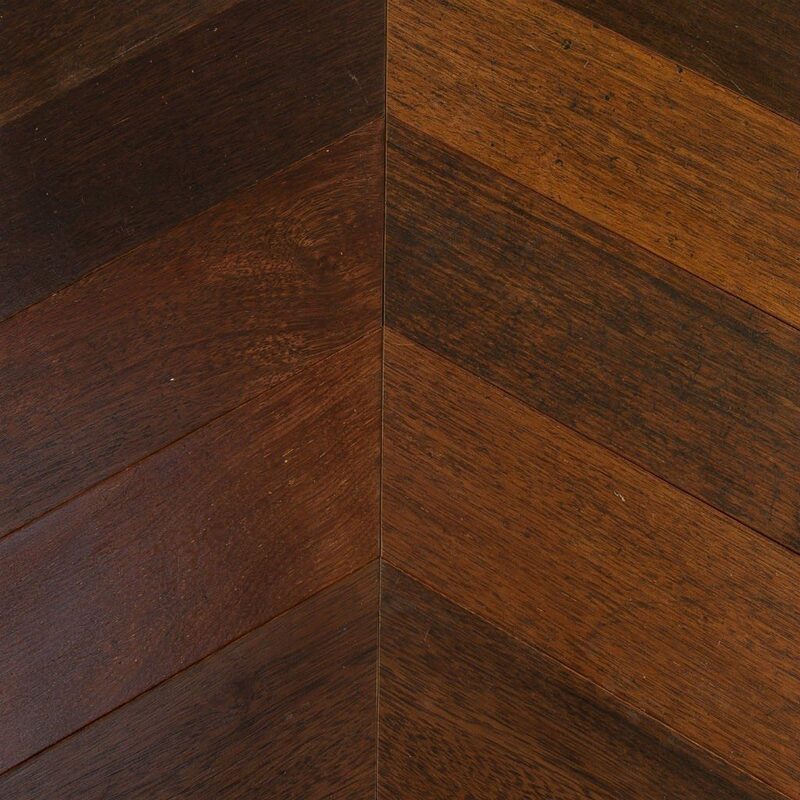 The same of course is true for chevron which can be cut at a number of different angles. The possibilities are almost endless. 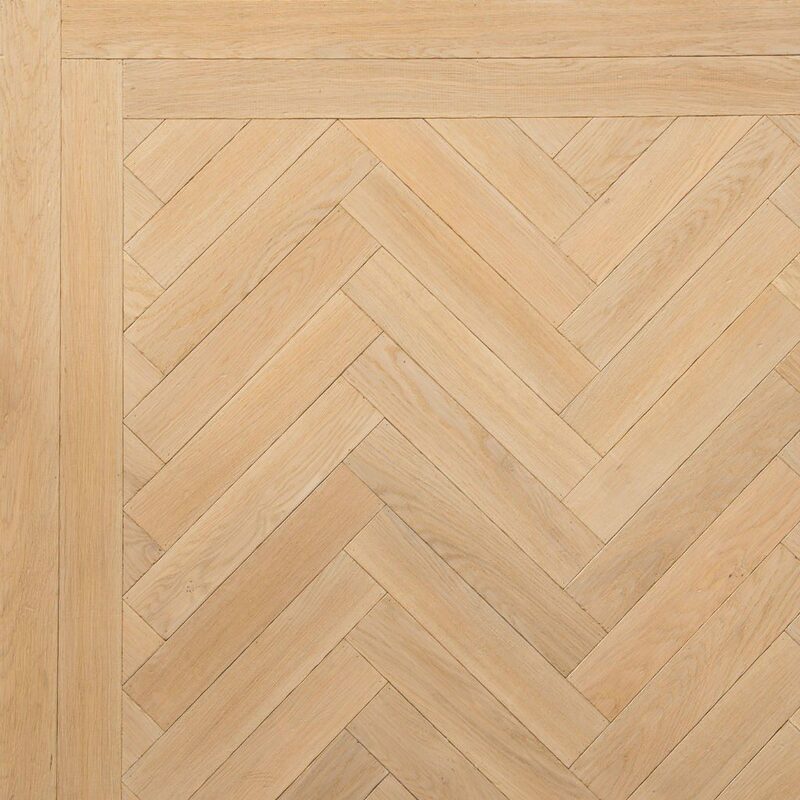 We can also supply and install floor medallions and parquet borders for a truly unique finish. Parquet flooring is laid on site. 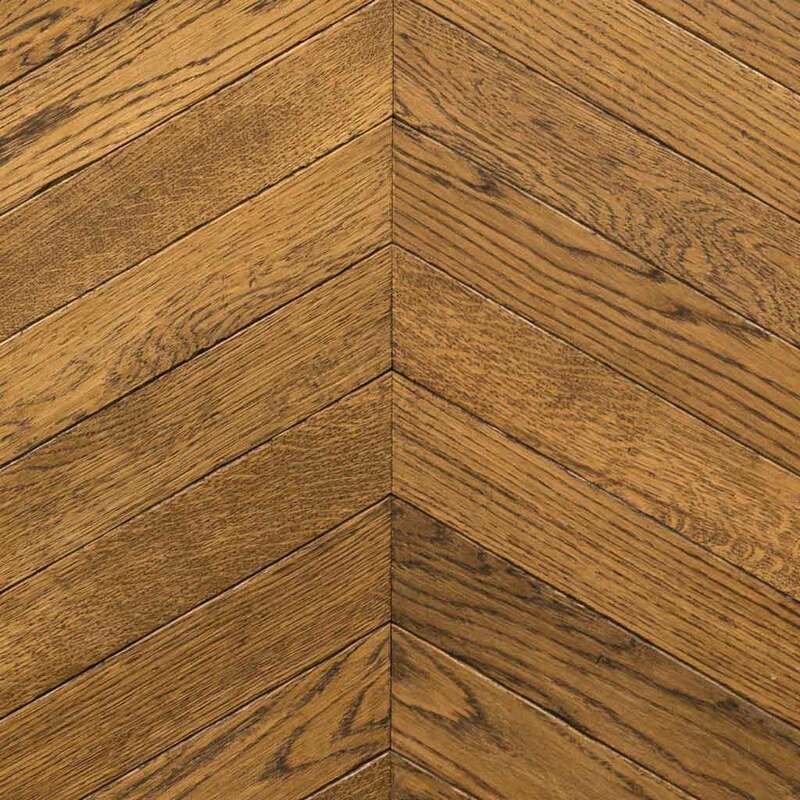 For the best results, the herringbone is installed by glue-down or a combination of nail-down and glue-down in the design of your choice. 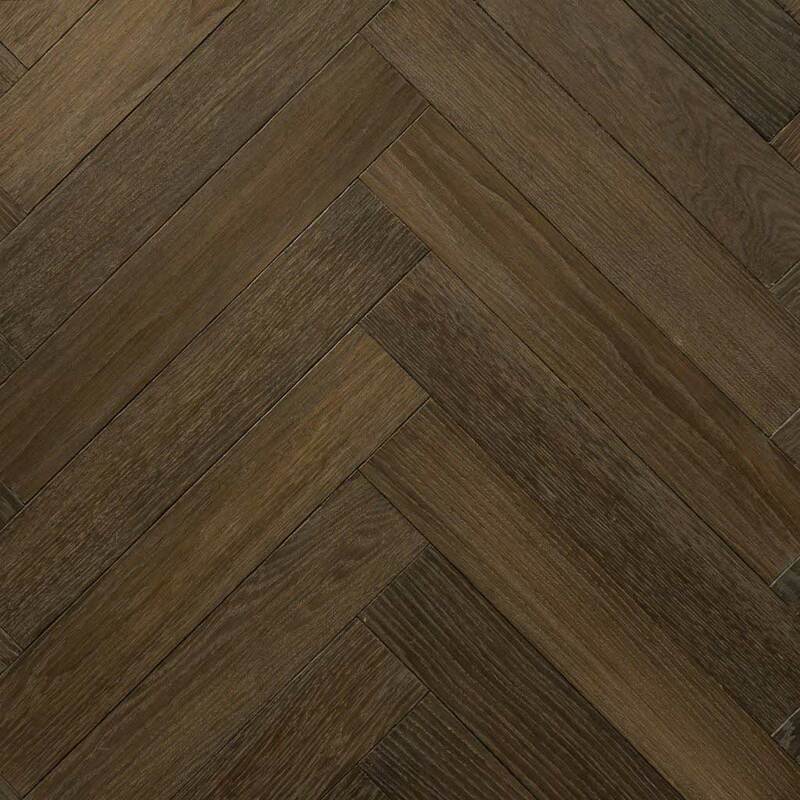 Herringbone pieces have grooves on three sides and one tongue on the long side. 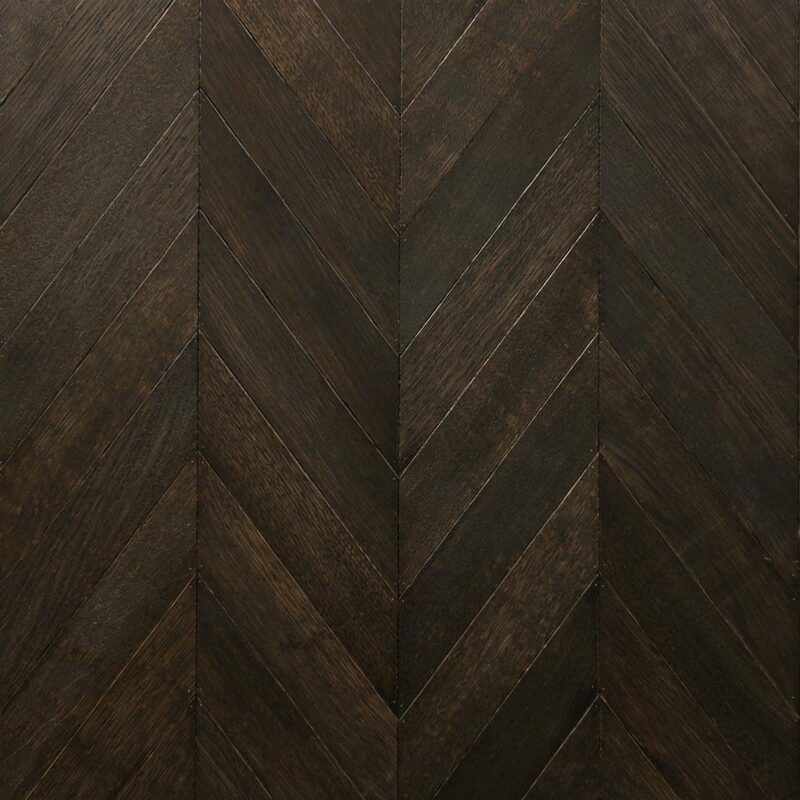 It all starts with proper milling, more-so with a herringbone than with any other pattern. If multiple fillet widths do not exactly add up to the fillet length the pattern will be impossible to maintain. A&D Designer Floors uses laser-guided precision equipment that are calibrated regularly to maintain consistent dimensions. 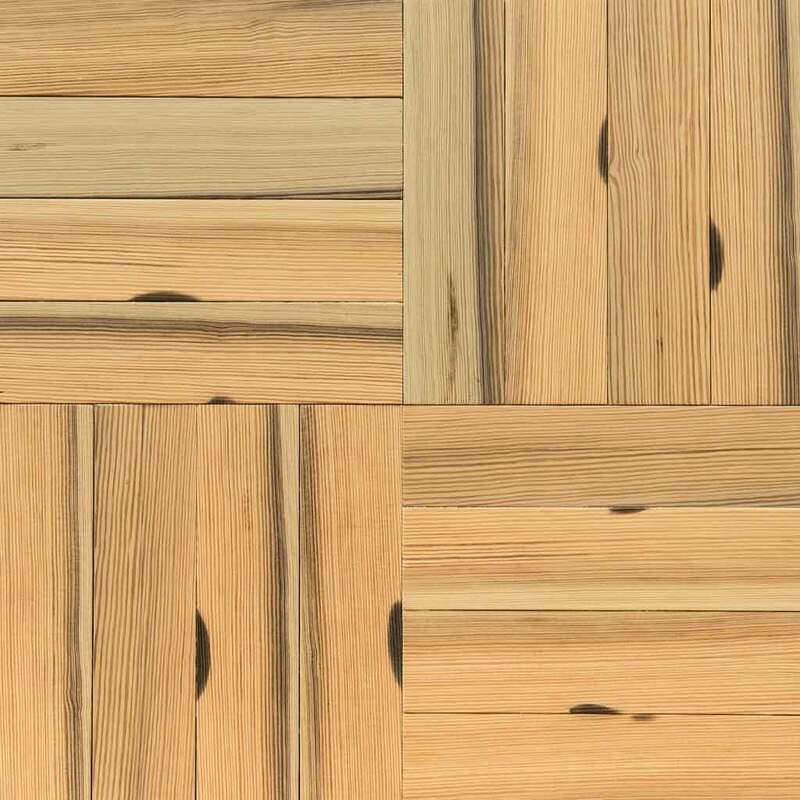 The floor is then sanded and finished with either a lacquer, oil or stain to protect the floor and enhance the beauty of the wood. 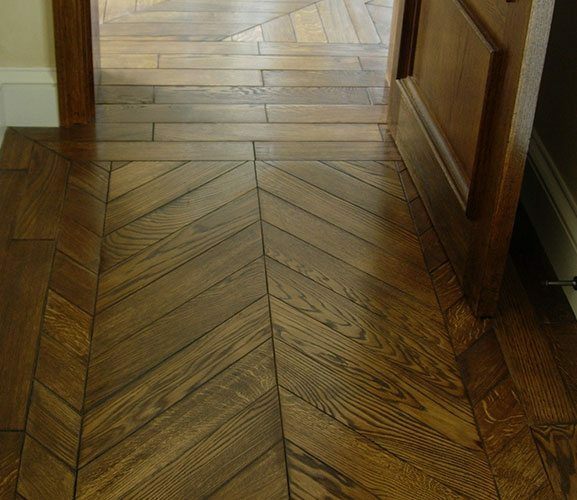 Every A&D Designer Floors Herringbone flooring is made to order, one at a time to your specifications.